Commandant Sgt. 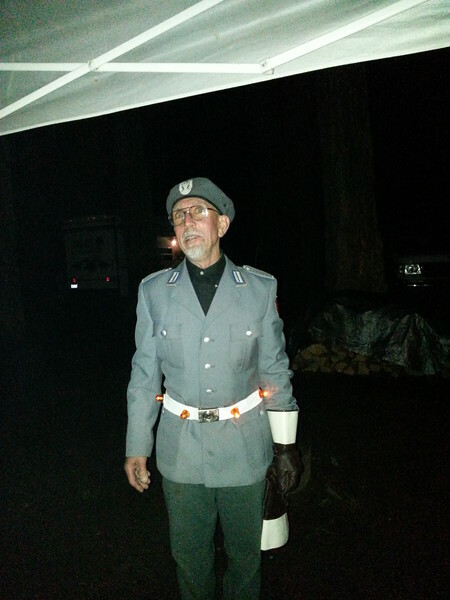 Major Tommy Reser of the First Motorcycle traffic enforcement regiment of the Gifford Pinchot Forest Patrol arrived on the scene with lighted belt in condition yellow alert mode, riding his motorized patrol cycle. We all had to toe the line from that point forward. Drinks were ordered for all participants.